Chinese and Asian antiques are always popular, and we see many come through our doors. These unique pieces of art can add a great touch to any home, but you do have to be careful. There are many home decor companies out there that produce Chinese and Asian antiques that might look like “antiques”, but really aren’t. As a rule of thumb, before you sell OR purchase Chinese antiques, you should have them appraised to make sure that you’re getting the best price for your antique. Our experts can provide you with all of the information you need about buying and selling Chinese antiques. We also buy Asian and Chinese antiques at the great prices OR can help you get the best price by entering the antique in one of our many auctions running through the year. We try to make certain all of our buyers and sellers understand the value of their items and why those items are valued at that price. We have a multi-point evaluation system that takes into account many factors to arrive at the best price for your Chinese antique. That’s where we come in. We buy Chinese paintings other Chinese antiques at the best prices. If you’re not sure of what is the worth of the Chinese OR Asian antique you have, call us for either a house call OR email us photos of your items. We put our years of experience doing antique paintings appraisals to work for you and you can confidently sell antique jewelry, artwork, furniture, and silver as well to us at William Smith. What Determines the Value of Chinese Antique Jades and Other Items? There are a number of different factors that go into determining the value of an antique. It’s not always easy for someone to really tell if something is worth the large amount they’re being asked to pay for it. For example, Chinese art buyers often find that the items they’re considering have large price tags, but don’t seem to be in mint condition. But, we still buy antiques at the best prices and also do estate appraisals and liquidations for collectors and people who’ve inherited estates. If you have any questions at all, please don’t hesitate to ask us at the time of appraisal or at any later time. Whether you’ve decided to sell your Chinese antiques or have inherited an estate containing some Asian items you don’t want, we can assist you by purchasing them ourselves. 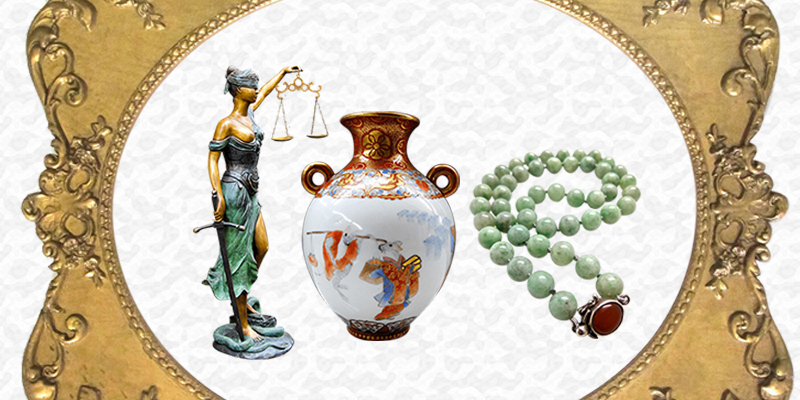 We have over 50 years of experience in auctioning antiques. If you’re looking to sell your collection, we are the right buyers for your Chinese antiques. If you are looking for “who buys Asian antiques & Chinese antiques” or “where to Sell Chinese Antiques”, look no further. We Offer the best price for your Chinese antiques items.